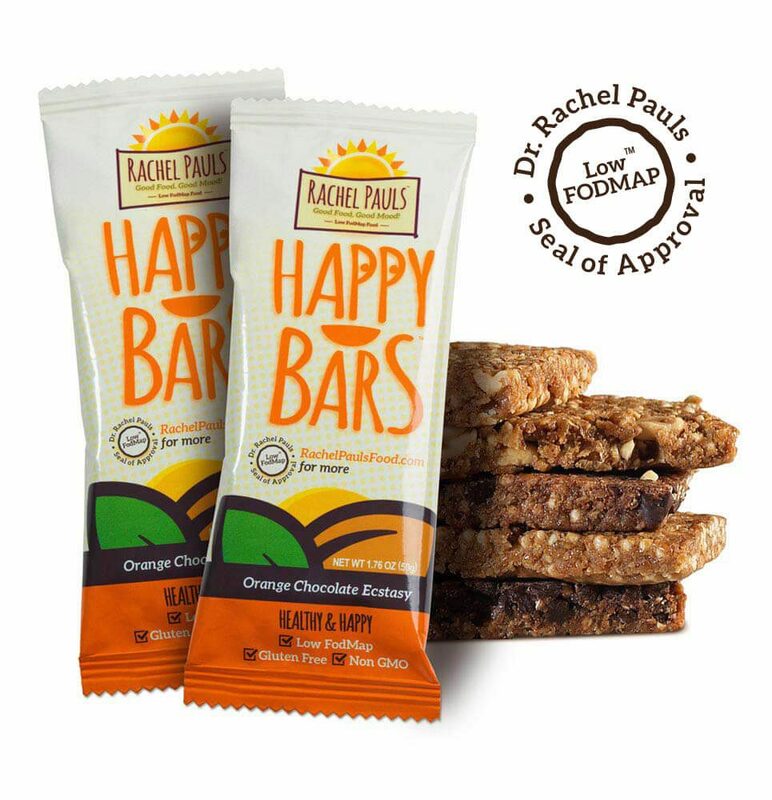 We create delicious certified low-FODMAP food from the recipes of FODMAP expert Dr. Rachel Pauls. 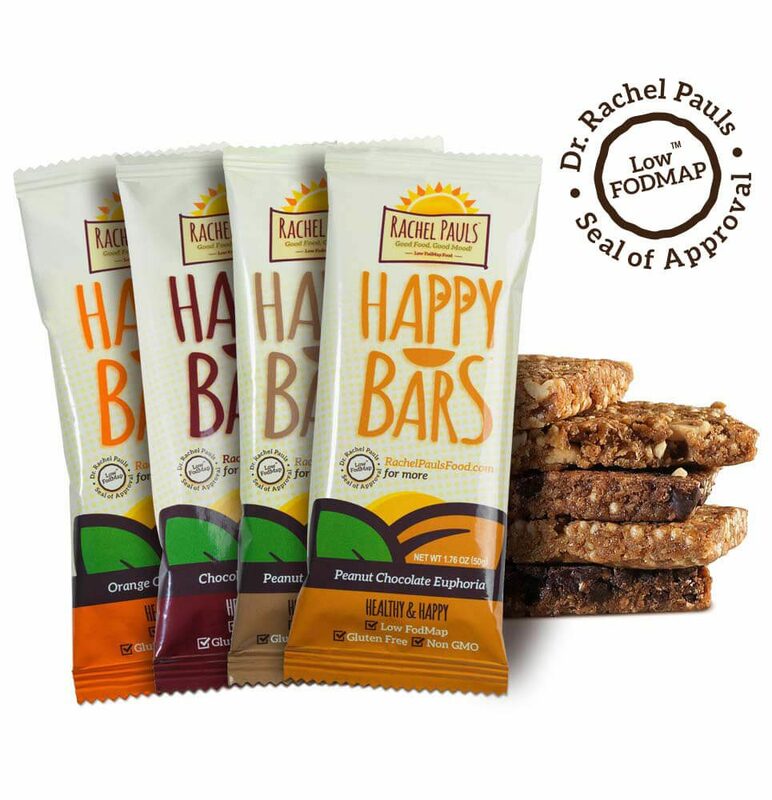 Enjoy Happy Bars (low-FODMAP energy bars), Happy Jerky (low-FODMAP beef jerky), Happy Soup (certified low-FODMAP soup bases) & Happy Spices (low-FODMAP spice blends)! How much is the delivery charge for your products? $0.00! Delivery is absolutely free on all orders. Within the continental U.S., orders are delivered within three to seven business days. Orders that ship to Alaska and Hawaii may take additional time. 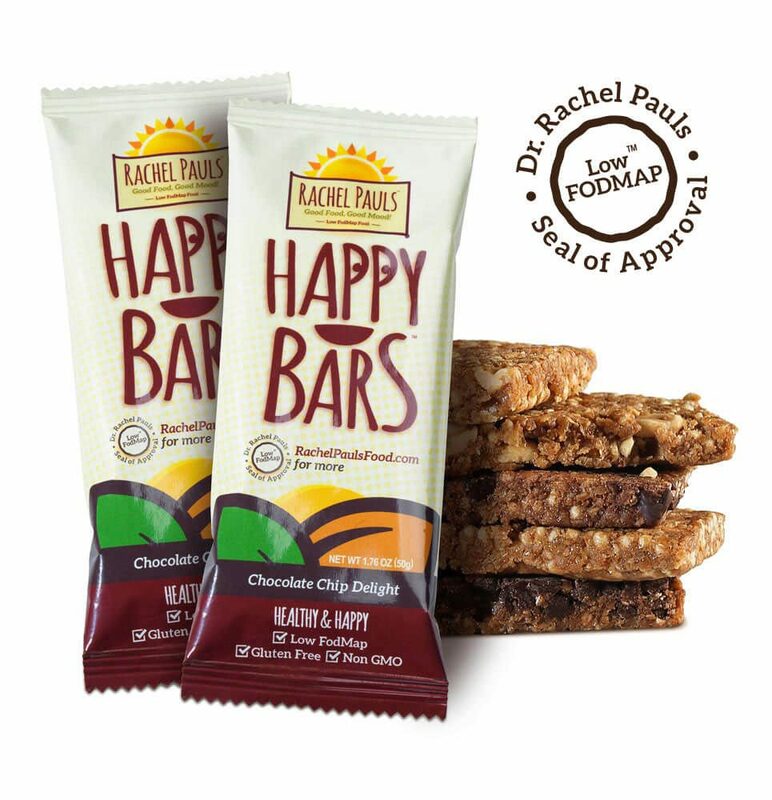 We want you to be completely satisfied with your purchase. If you are not, we are happy to review your issue and provide a refund when reasonably appropriate. 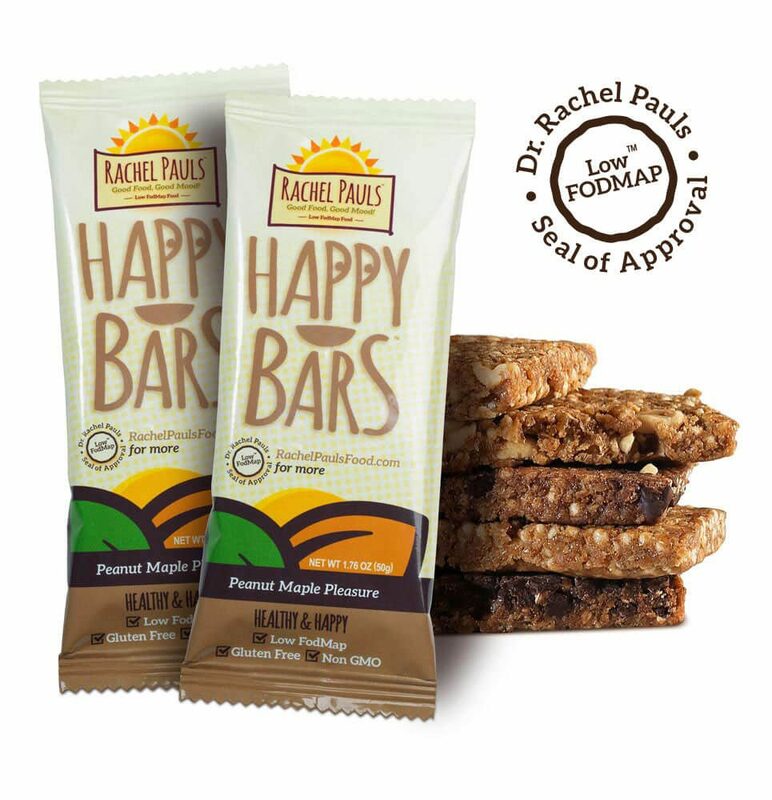 For refunds, please email info@rachelpaulsfood.com or call and leave a message at 513-954-8087. Please include your order number (located on your confirmation email) with any email or telephone message. What if I have a concern, compliment, comment or criticism? 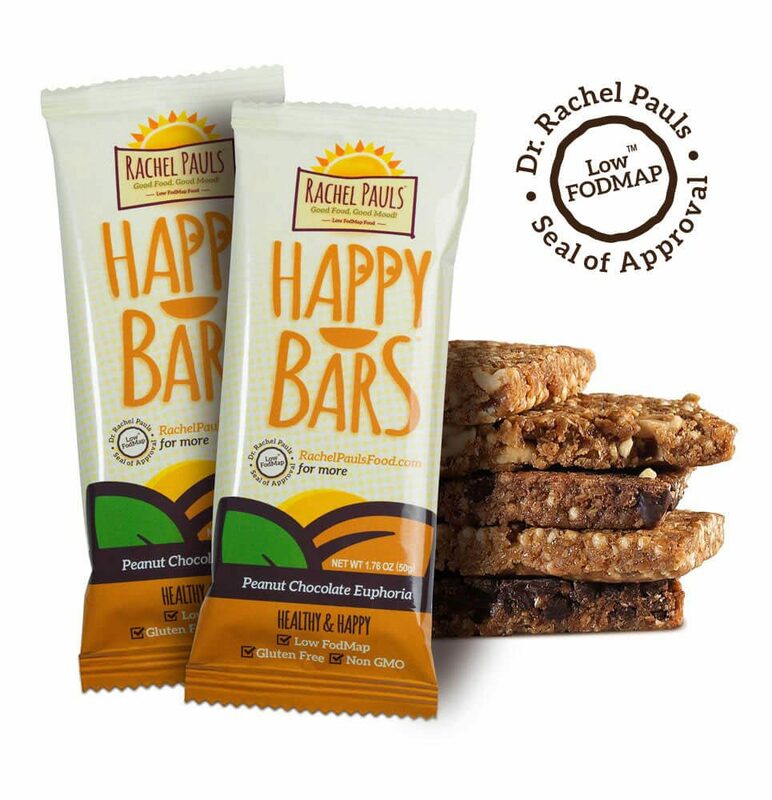 Our goal is that you are completely satisfied with your product. 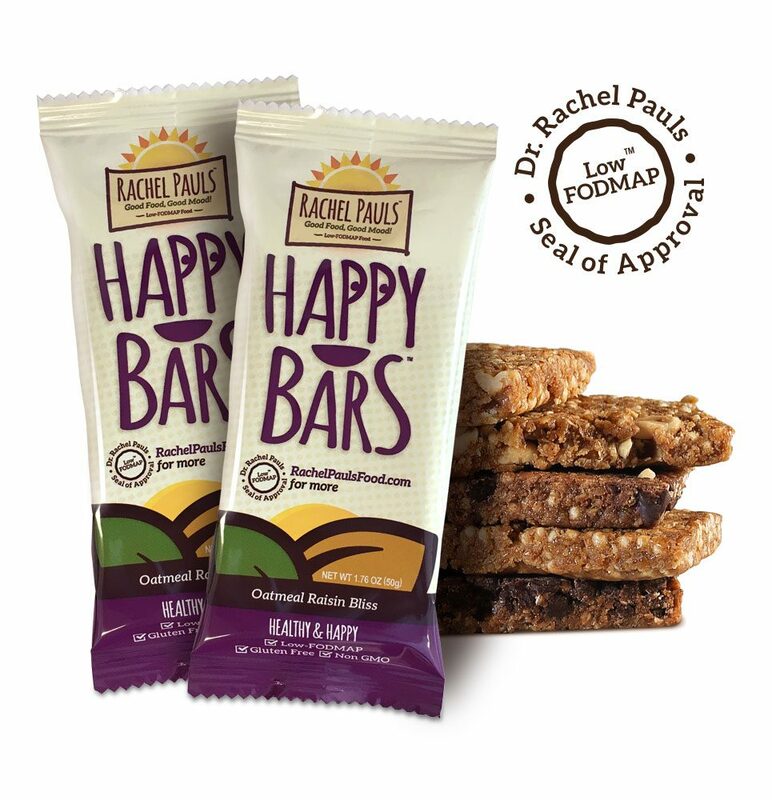 Please contact us at info@rachelpaulsfood.com with any concern, compliment, comment or criticism. We typically respond within 1 business day.